April 1, 2015 Georgetown, Mass. 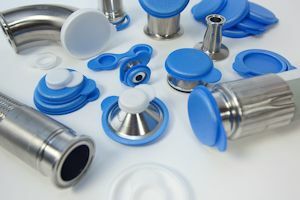 - UFP Technologies, a producer of innovative custom-engineered components, products, and specialty packaging, for the biopharmaceutical industry, will be exhibiting at Interphex 2015 from April 21-23 in New York, N.Y. at booth 2459. Interphex is one of the largest biopharmaceutical and pharmaceutical trade events, offering professionals and leaders within the industry the opportunity to share their extensive knowledge of cutting-edge technologies and showcase the latest manufacturing solutions. 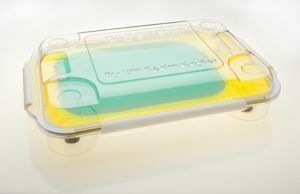 Visit us in booth 2459 to learn more about how our biopharmaceutical products can solve your unique challenges. UFP Technologies, Inc. (NASDAQ: UFPT) is a producer of innovative custom-engineered components, products, and specialty packaging. 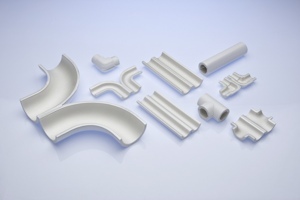 Using foams, plastics, composites, and natural fiber materials, we design and manufacture a vast range of solutions primarily for the medical, automotive, aerospace & defense, electronics, consumer, and industrial markets. Our team acts as an extension of our customers’ in-house research, engineering and manufacturing groups, working closely with them to solve their most complex product and packaging challenges. For our customers, innovation takes many shapes. But each solution is shaped by a level of design, materials and process expertise that is unique to UFP Technologies.